Adding a pack of gum or a magazine to your shopping cart has helped retailers make a crucial few extra dollars for decades. 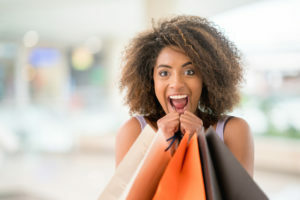 A recent survey by CreditCards.com found that 68 percent of U.S. consumers said their primary location for making impulse buys was “in person in a store.” Thirty to 50 percent of all in-store purchases are impulse buys. But that number is slipping. Digital methods are used for far fewer impulse buys. Only 21 percent said they bought impulsively on a desktop/laptop, and just 10 percent did so on a smartphone or tablet. So as shopping increasingly moves to e-commerce, is the impulse buy dead? Not even close. There are efforts underway that recognize the importance of impulse buying to retailers, with stores looking for new ways to encourage spontaneity in buying, and online merchandisers looking to find the impulse magic. As companies search for ways to recoup the lost in-store impulse sales, here are four tactics retailers are using to pump up impulse buying—in stores and online. Impulse buys are triggered by product encounters, whether in-store or online. For customers to purchase something on the spur of the moment, they must spot it — and be in the mood to respond positively. How can you get shoppers to see your impulse products? One effective tactic is using signage. Get the merchandise noticed by using eye-catching signs announcing sales and promos. The most important factor in triggering impulse shopping online is a calm, friendly, and knowledgeable website with attractive merchandise. The ability to browse through aesthetically-pleasing photos helps encourage online “window shopping,” without intent to necessarily make a purchase — with the assumption, of course, that eventually the impulse to shop will take control. That’s why most (about 87%) impulse buys online are made from users navigating website categories, not via search engines. If setting a positive mood keeps people scrolling through an e-commerce site, an easy purchasing option is key to sealing the deal. Obviously, ease of experience is a big factor in if people will shop in any store, digital or brick-and-mortar. However, when it comes to impulse buys, the ease of purchase is even more important, as impulse shoppers are driven more by instant gratification than someone making a purposeful purchase. Online, Amazon Prime is one of the most perfectly crafted e-commerce sites for impulse shopping, offering both the ability to buy products with just one click and the promise of delivery in as soon at two hours. Unsurprisingly, Hershey, a company that’s facing declining checkout counter impulse sales, has worked with Amazon Prime Now. The most common incentivizing for the online impulse buy is to offer free shipping — but only after shoppers spend a certain amount. Nearly half of shoppers reported that free shipping caused them to make impulse purchases, according to a 2000 study by The Yankee Group. When faced with a shopping cart that is $5 short of the free-shipping minimum, it is easy to justify adding one more inexpensive item to the cart. However, there are infinite ways for e-commerce sites to incentivize low-cost impulse buys, especially through loyalty programs. Urgency– Trigger people’s sense of urgency through limited-time promos. Consider the Bath & Body Works example above. It included a “Today Only” description in its signage to make the impulse buy more compelling. Value– Make people see that they’re getting a good deal with generous offers. Victoria’s Secret for instance runs “Buy two, get two” promos with its impulse products to further encourage shoppers to buy. Excitement or Novelty– You don’t always have to throw in an offer with your impulse products. Often, if a product looks fresh or novel enough, people will notice them. If you have new and original items in your store and they fit the above-mentioned criteria (i.e., handy and low cost), then consider testing them out as impulse buys to see how customers react. Most research on impulse shopping demonstrates that the biggest factor in if someone will make an impulse purchase isn’t anything the retailer does. Instead, it is whether the shopper in question is an impulsive person. This is one area that e-commerce has a huge leg up on traditional retailers. While stores cannot control who walks through the door, online, retailers can control who they advertise impulse buys to. Online retailers and other digitally-focused companies have a sometimes scary degree of access to our personal information — including how we interact and shop online. Facebook, for example, was able to conduct a massive experiment on how people's feeds could affect their mood, in which it actually made unknowing users happier or sadder.